Whether you just need keys duplicated, new entry systems, keyless entry systems, new locks or any other security need call Speedy Locksmith and we will find you a quick, secure and economical solution to all your security needs. Because we are available 24 hours a day 7 days a week, you always have a reliable locksmith that is only a phone call away. Do you have an emergency situation and need your car unlocked? Have you lost all your keys to a lock that needs to be opened right away. With our mobile emergency service we come right to your location to help you with your situation. 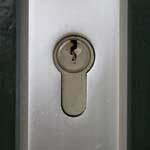 Whenever you are in need of a locksmith in the Dallas, Texas area we are here to serve you. Give us a call today. You will be amazed how quickly we can help you with all your locksmith needs. We will always treat you professionally with the speediest service we can provide.